Gooseberry/Amla is an excellent source of vitamin C and also loaded with calcium, Iron, Phosphorous, Vitamin B, etc. Amla is widely used in Ayurveda for various medicinal purposes. 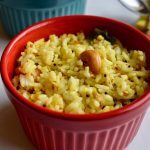 Its a great immunity booster for kids. Also giving gooseberry along with iron-rich foods helps in iron absorption in children and adults. 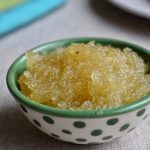 Indian gooseberry/ Amla is the main ingredient in Chyawanprash. Chyawanprash is a nutritious jam that has been used in Ayurveda for thousands of years. It offers a wide range of health benefits including hair growth, eye care, treating digestions issues & heart problems. Here are some ways to include the superfood “gooseberry” in your baby’s diet. Read more to know information about the nutritional benefits of gooseberry, how and when to introduce gooseberry to the baby. 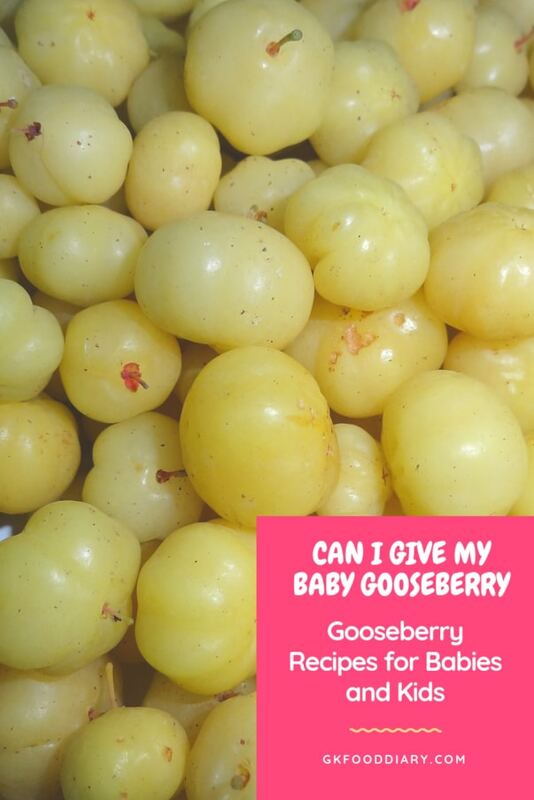 When can I introduce Gooseberry to my baby? Gooseberries are high in Vitamin C and acidic in nature. 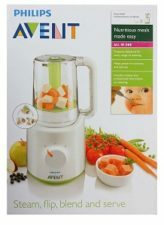 Hence it is recommended to introduce gooseberry after one year once the baby is introduced to a variety of foods. You should watch for allergies after giving gooseberry. If the baby shows any allergic reaction like rashes or tummy upset, stop feeding them. 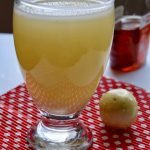 When you introduce, you can offer a little amount of amla juice/amla jam or tiny cut steamed amla pieces. Gradually increase the quantity based on your baby’s tolerance level. Gooseberries are widely available in the autumn & winter season. And it is the right time to consume them. Choose gooseberries with deep green color without dull skins or blemishes. After buying them, store it in a kitchen counter or refrigerator. To remove dirt or residues, always wash the gooseberries thoroughly with salt water before use. 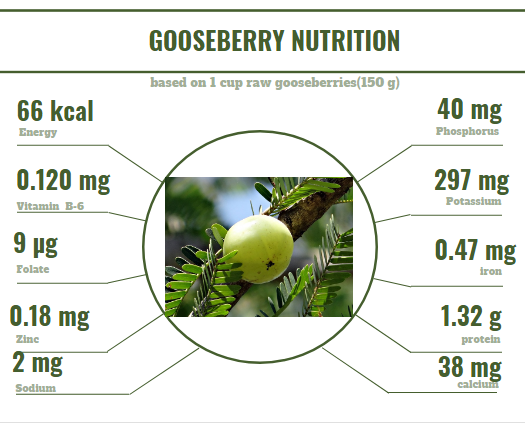 Vitamin A in gooseberry is beneficial for eye health. It helps to improve children’s eyesight. 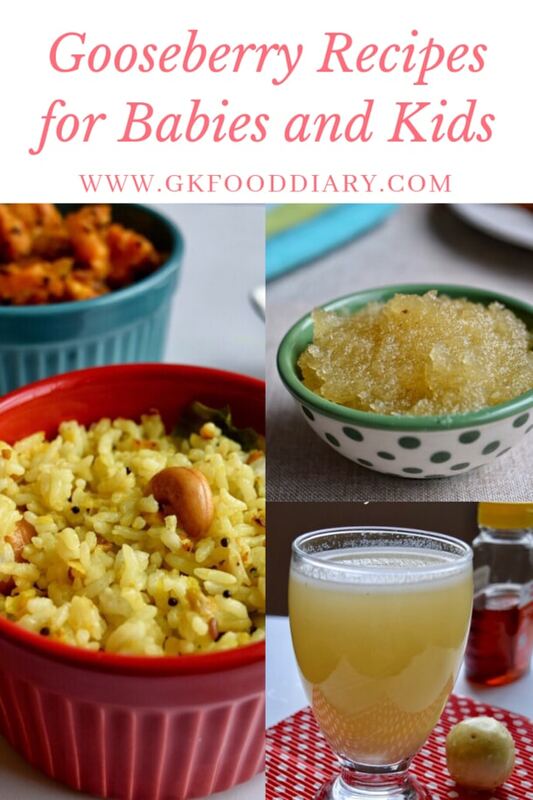 Here are some recipes to include gooseberry in your children’s diet.